Obituary – Divine, John Wesley « Perry High School Alumni Association, Inc.
﻿John W. Divine, 91, longtime Perry coach, educator and school administrator, died at 4 a.m. Sunday, May 21, 1995, at Perry Memorial hospital. Funeral will be at 2 p.m. Tuesday at John Divine hall. Rev. Lynn Scott and Dr. William Nowlan will officiate. Burial will be in Grace Hill cemetery under direction of Brown Funeral home. The family will receive visitors from 7-9 p.m. Monday at Brown Funeral home. Memorials may be made to the John Divine scholarship fund of the Perry Alumni association in care of Brown Funeral home, 1010 Seventh street, Perry, OK 73077. Divine was born on Feb. 20, 1904. He wrestled at 135 pounds for Oklahoma A&M, earning All-American honors and placing second in the NCAA in 1931. He was married to the former Myrtle Brower on Aug. 22, 1931, at Stillwater and they made their home in Perry. He taught at Rose Hill school in Noble county prior to joining the faculty of the Perry public school system. During his 33-year career with the Perry school system, he served as a teacher, principal, assistant to the superintendent, wrestling coach, assistant football coach and athletic director. Divine taught chemistry, physics and biology in the science department and trigonometry, advanced algebra, geometry and solid geometry in the math department. 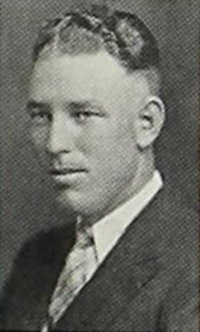 His coaching record of 241-87-5 from 1931-64 established a winning tradition for the Perry Maroons wrestling team. PHS teams coached by Divine took state titles in 1951, 1953 and 1961. Divine served as wrestling official for more than 30 years, participating at the junior high, high school and college levels. He officiated for Big Eight and NCAA tournaments during his career. 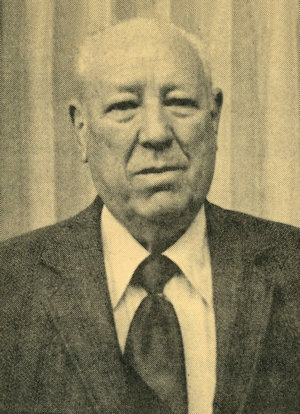 He helped establish the first junior high wrestling tournament in Oklahoma, was past president of the Oklahoma High School Wrestling association and served on Oklahoma board of control and the national rules committee. Divine was the first high school wrestling coach to be inducted into the Oklahoma High School Coaches Hall of Fame and was the recipient of an Edward Clark Gallagher award in 1991. He was a long-time member of the Perry Lions club and had served as Perry Chamber of Commerce manager. He was preceded in death by his wife in 1994. Among survivors are a son and daughter-in-law, Jack and Anne Divines Lansing, KS; two granddaughters, Jennifer Divine, Seattle, WA, and Mary Divine, Minneapolis, MN; a grandson, John W. “Sean” Divine III, Minneapolis; two sisters, Gladys Neuerburg, Garden City, KS, and Georgia Donohoo, Ponca City; and two brothers, Charley Divine, Odessa, TX, and Jim Divine, Cushing.